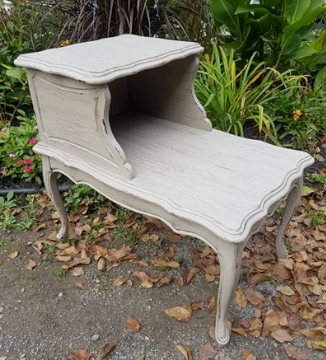 We refinished this gorgeous vintage end table in a soft grey taupe with a distressed crackle effect. In the bedroom or living room this table will add a sweet shabby chic touch to your decor! $60.